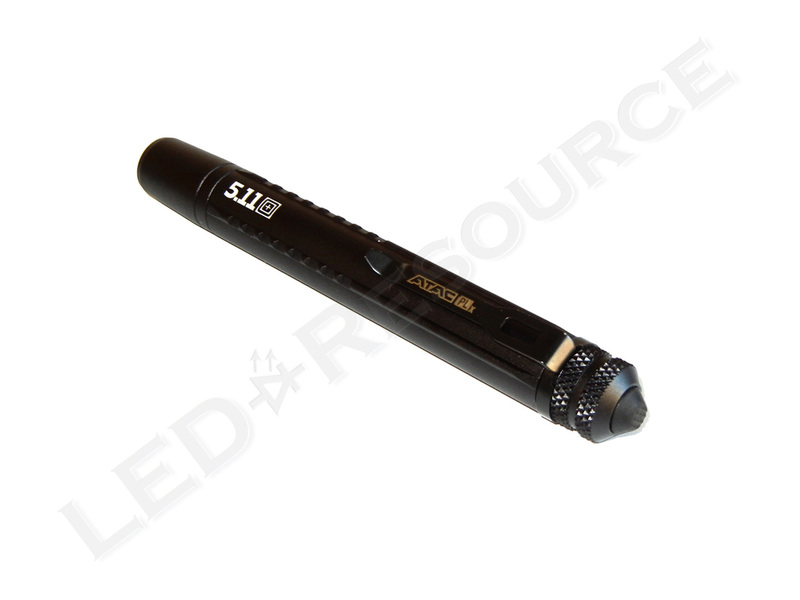 Compact, lightweight, and bright for its size, this is a very convenient lighting tool. The new 5.11 Tactical ATAC PLx flashlight is easy to carry and designed to be a great everyday carry flashlight. 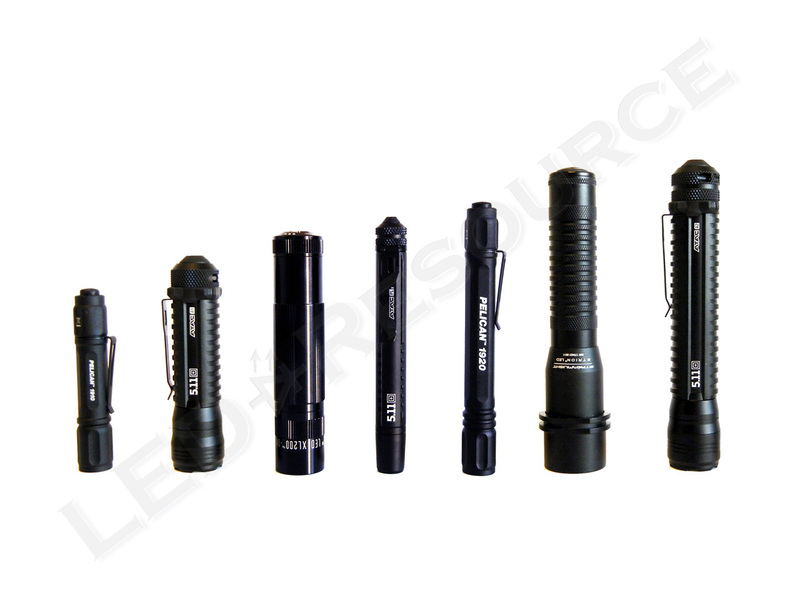 It’s bright LED and easy to use momentary-capable tail switch is a desirable feature among compact flashlights that often use twist-on/twist-off system. 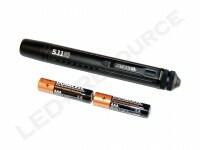 This flashlight utilizes a single-mode system and run on two AAA batteries. 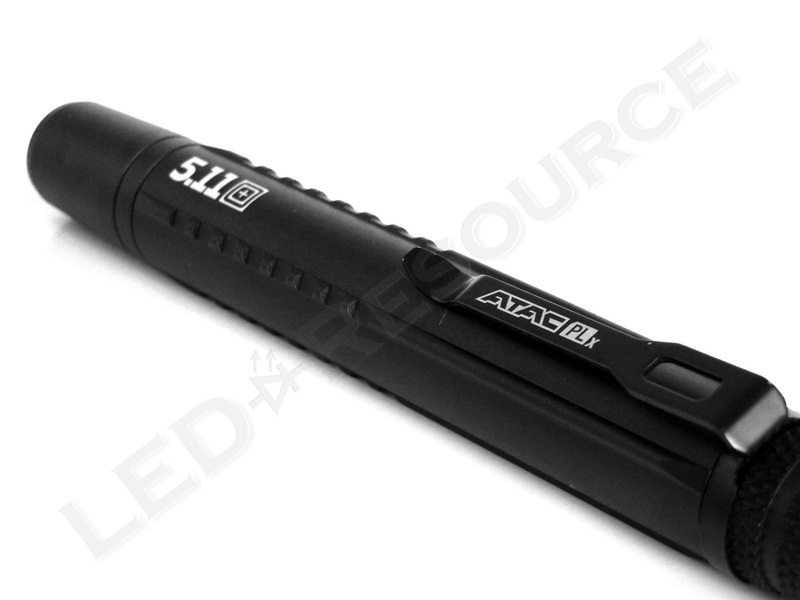 MSRP for the 5.11 ATAC PLx flashlight is $29.99. 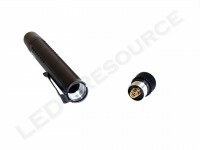 This flashlight is only available in black. 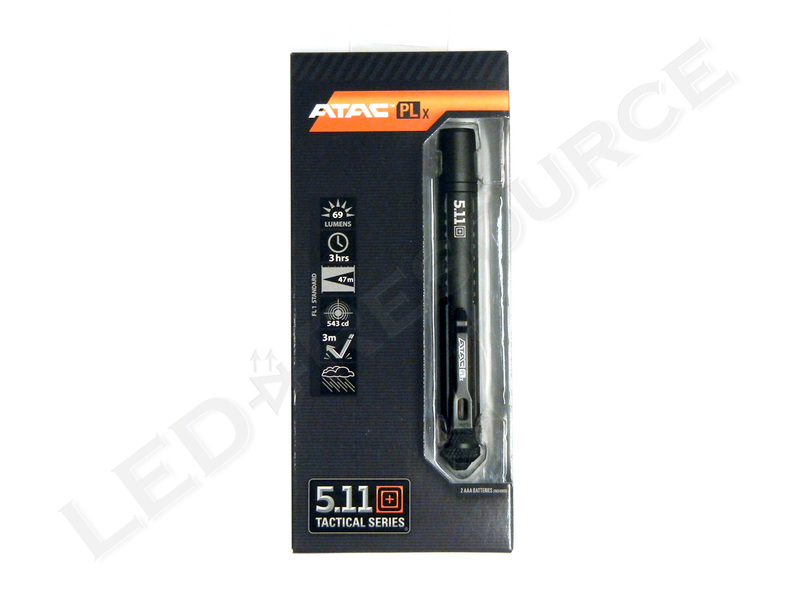 Included in the ATAC PLx’s box are: 5.11 Tactical ATAC PLx flashlight, 2 x AAA alkaline batteries, and a user manual. 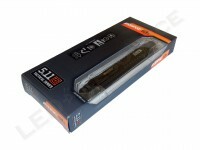 It operates on two AAA batteries, which are to be inserted in the conventional way of positive end first. The head and body, which are integrated and cannot be separated, is type-II anodized aluminum and houses a polycarbonate window and a smooth reflector. Four lines of jagged protrusions around the body and simple patterns, as well as the pocket clip, provides grip on the body, and the forward-facing pocket clip can be removed if desired. 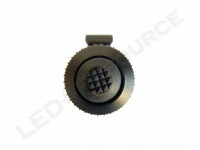 On the tail cap is a forward clicky switch, covered with black rubber. 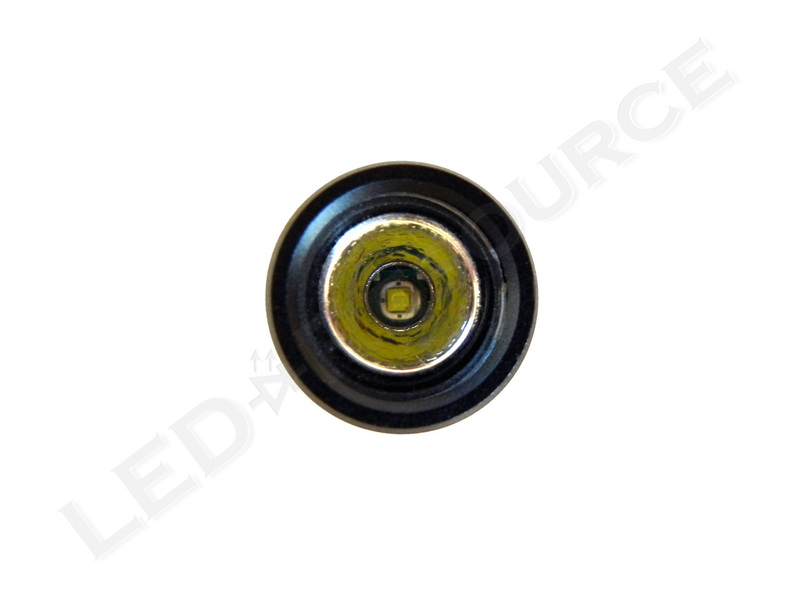 The rubber protrudes, so the light cannot tail-stand. Like many other compact flashlights, the ATAC PLx only comes with single mode. The 5.11 ATAC PLx flashlight uses the Cree XP-C LED, which produces 69 lumens from two AAA batteries. Since this is a general purpose light, the hotspot isn’t tightly focused for far distances but it does the job well for close proximity. The beam is both smooth and clean. 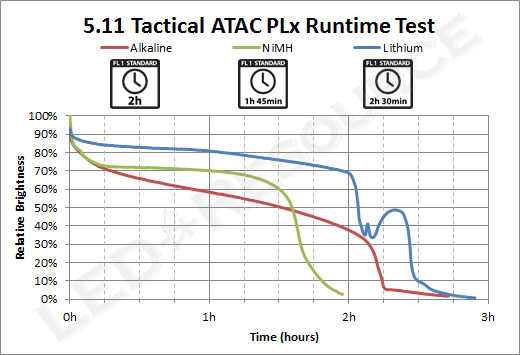 LED technology is rapidly improving and the 5.11 Tactical ATAC PLx flashlight is one of the brightest penlights on the market right now, yet is still small enough to fit comfortably in a shirt pocket. Although the compact AAA power source limits potential performance, we’ve found the PLx to be bright enough for many everyday tasks. This probably won’t be a good choice for patrolling your property, but with its compact size, you are more likely to have the PLx with you when you need it. 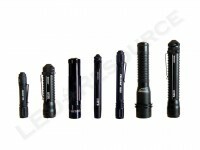 All in all, we were satisfied with the quality and output of the 5.11 ATAC PLx flashlight. Been tired using multi-mode penlight style. After read this review i’m convinced my self to get one. Thanks for thinning my wallet !!!! 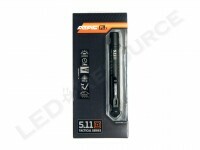 is there replacement led bulbs available for the atac pen lights. You cannot replace LEDs. What happened to your light? Check with 5.11 Tactical to see if you can get it replaced under warranty, their customer service number is 866-451-1726. The LED stopped working in may Atac PLx 5.11 is this covered under warranty? 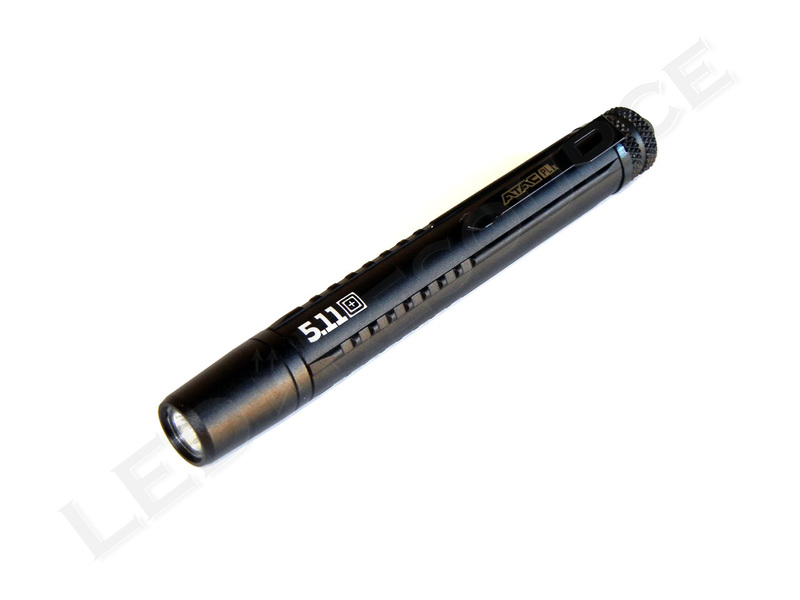 Have you called 5.11 Tactical about your light? It could be the circuitry inside the light, so most likely, they will have you send it back for a free replacement.